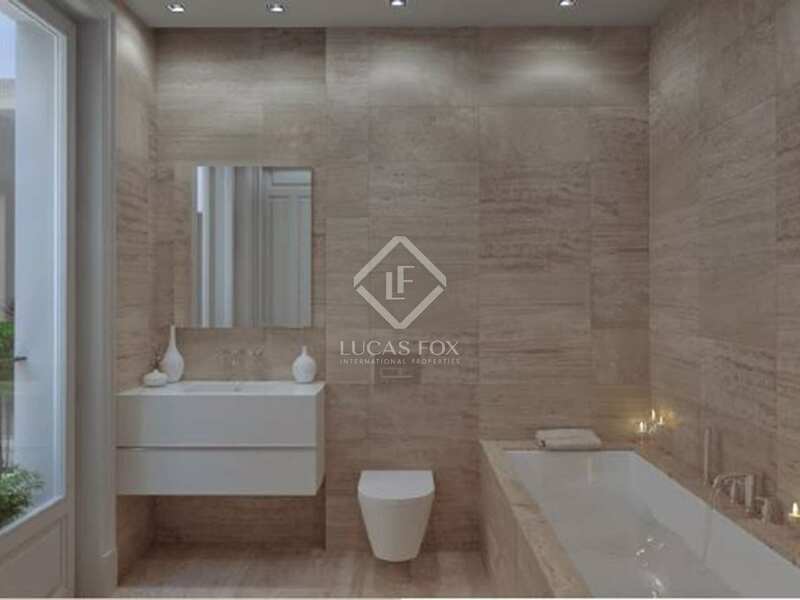 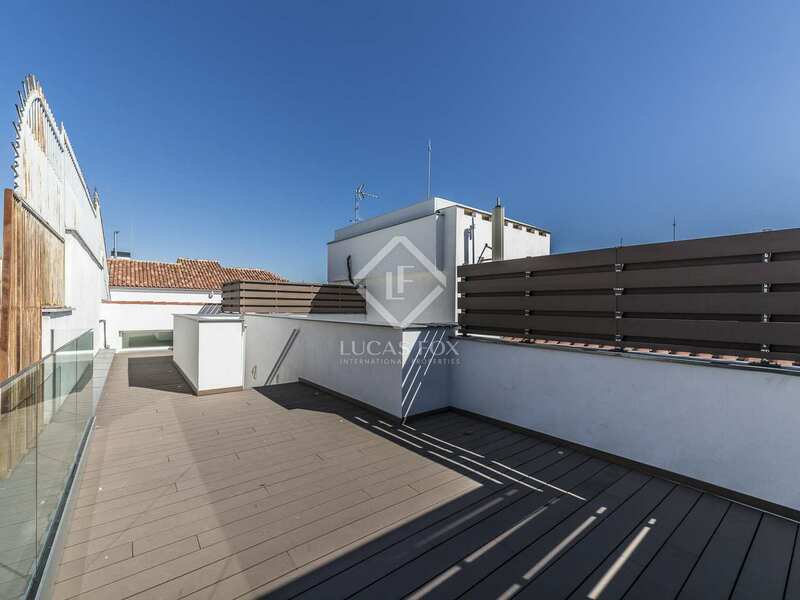 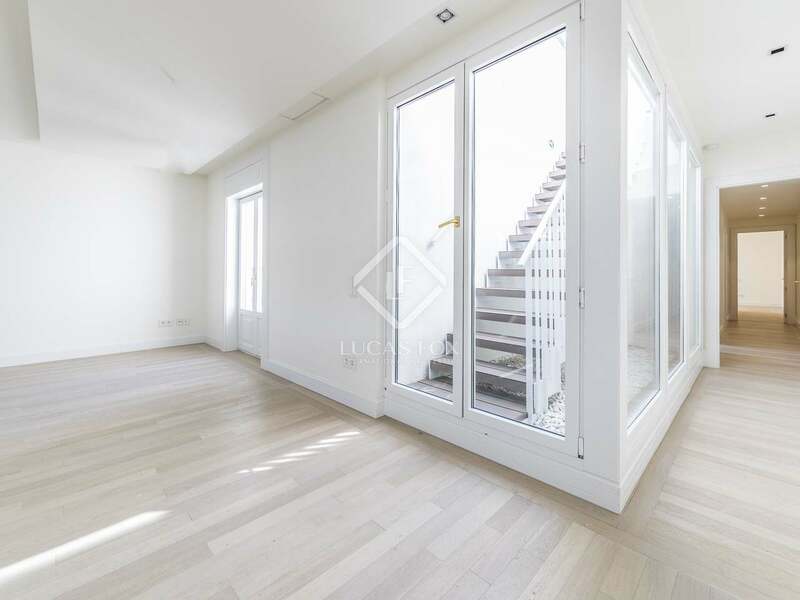 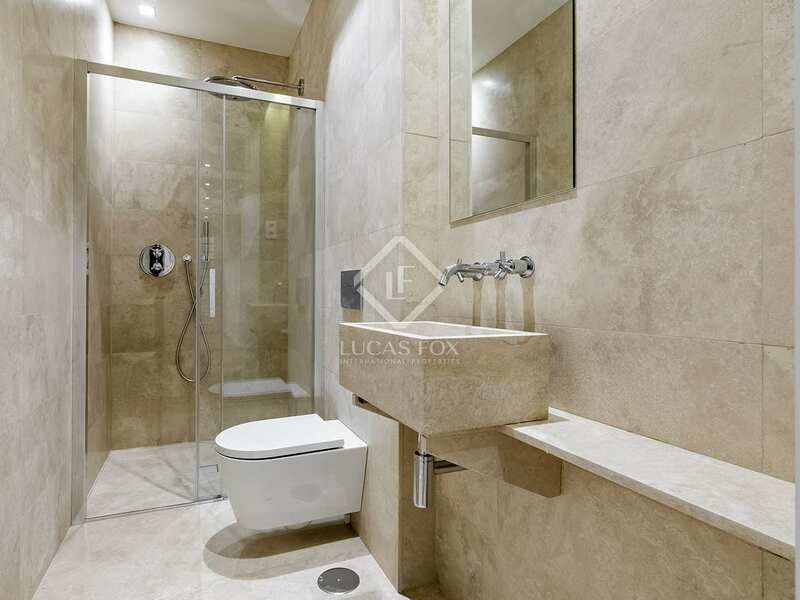 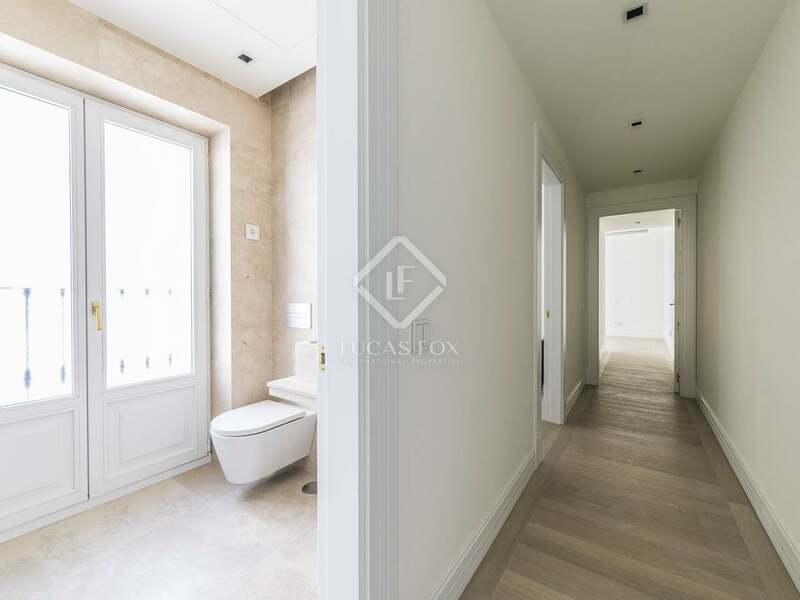 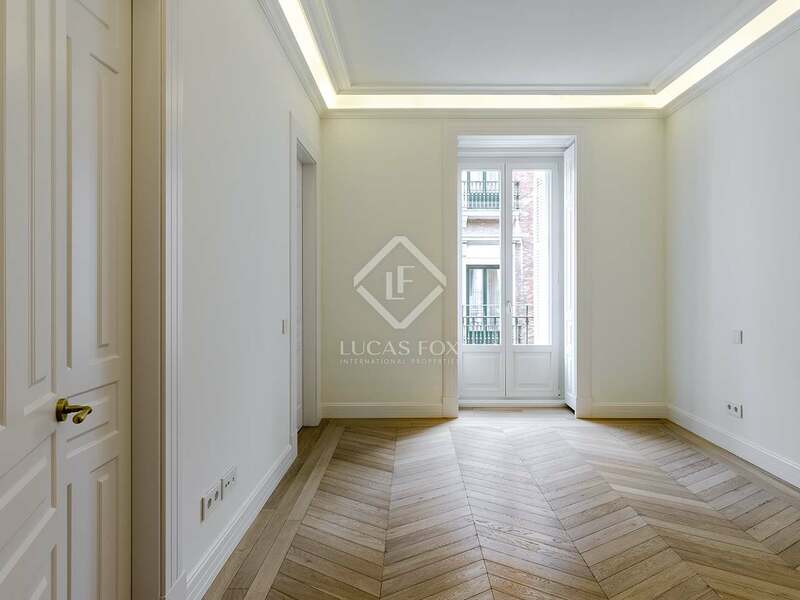 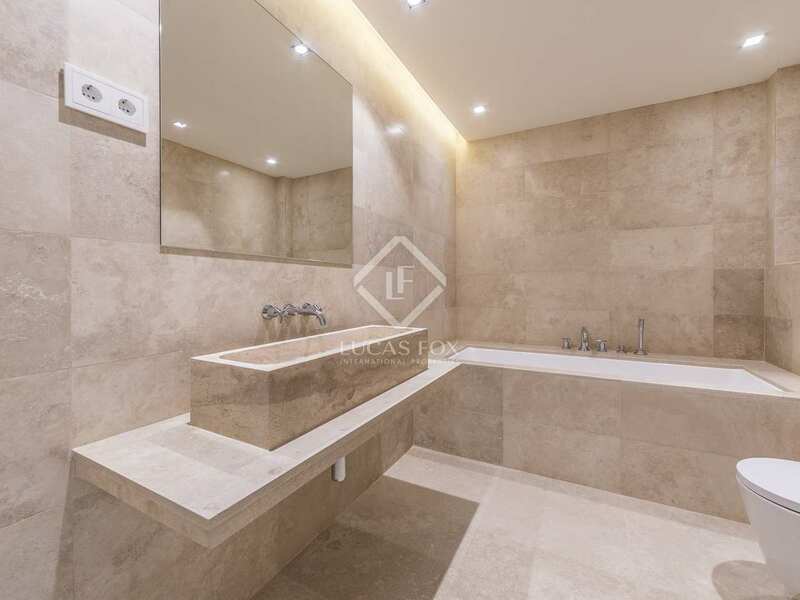 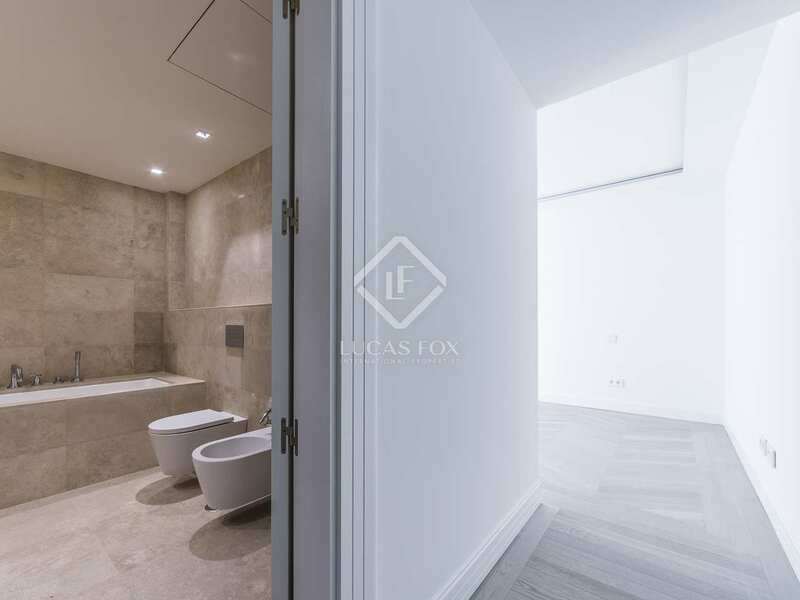 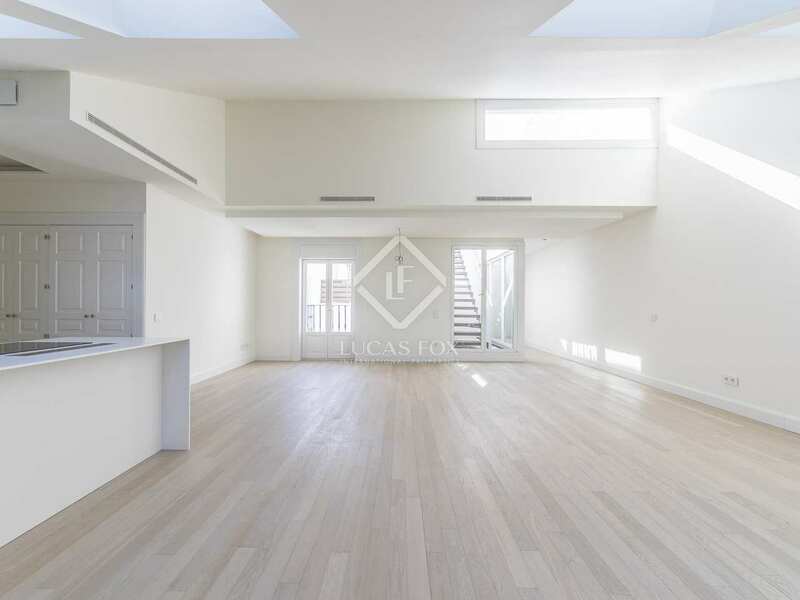 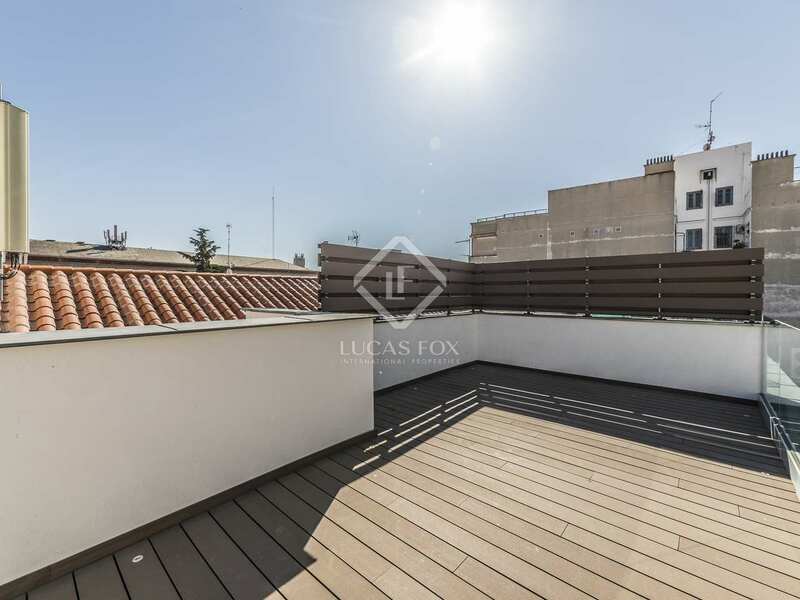 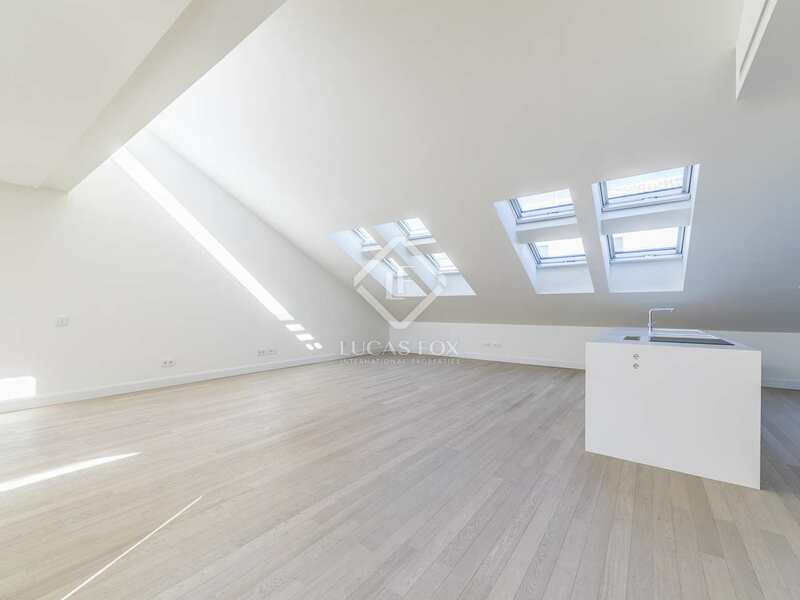 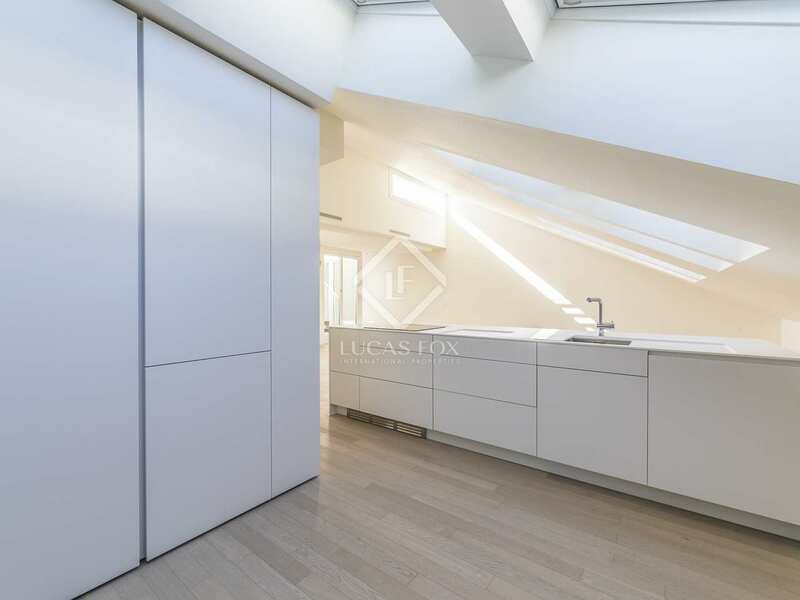 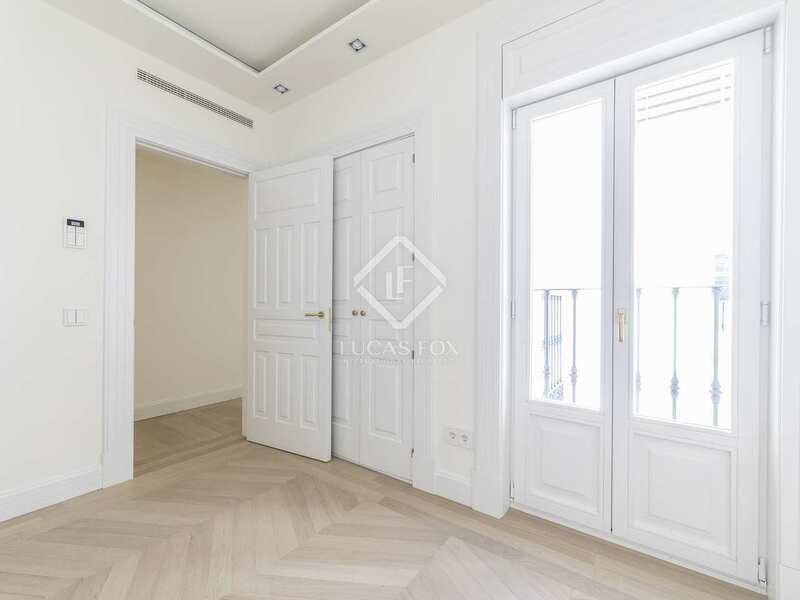 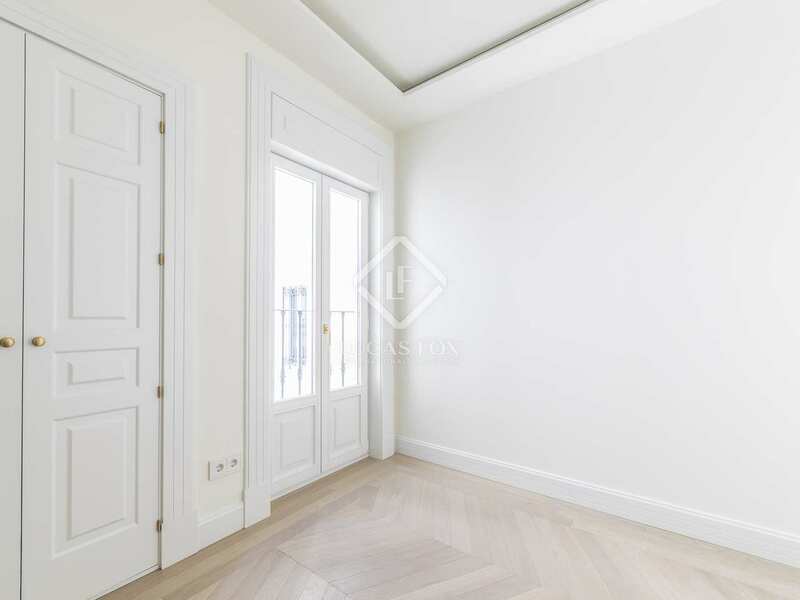 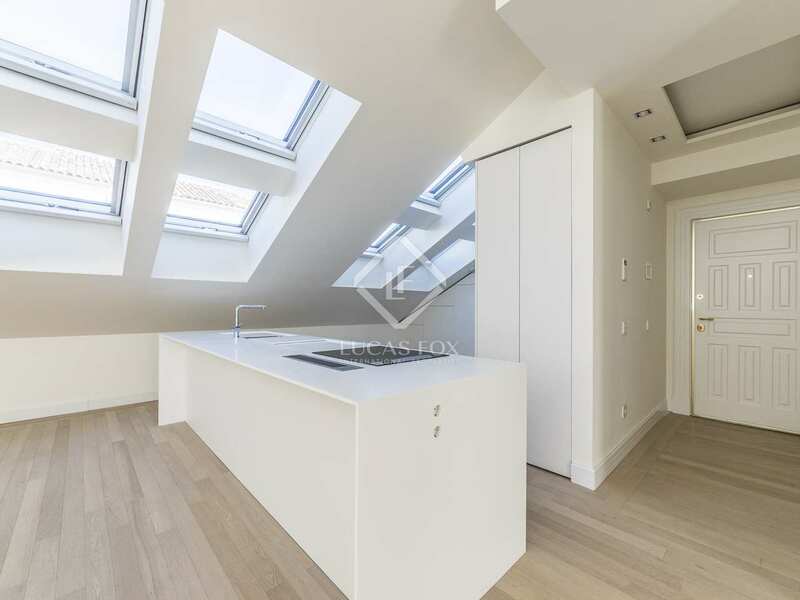 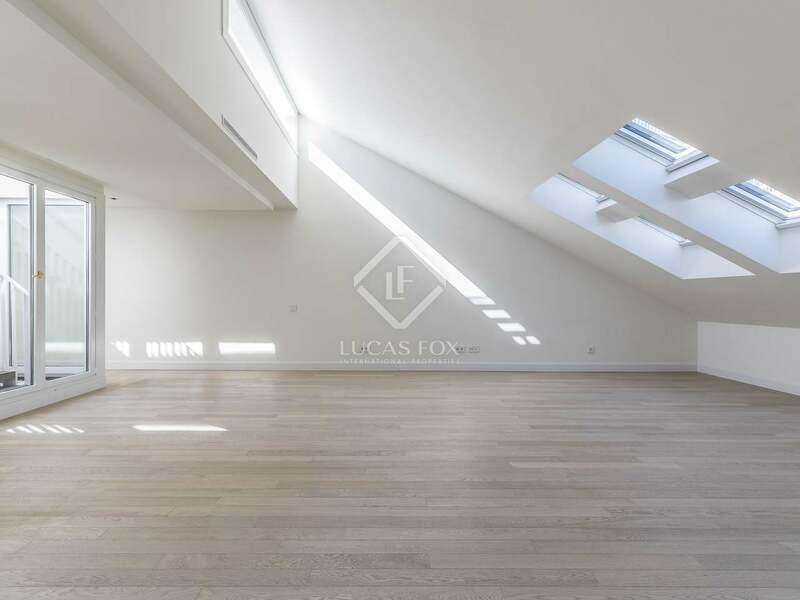 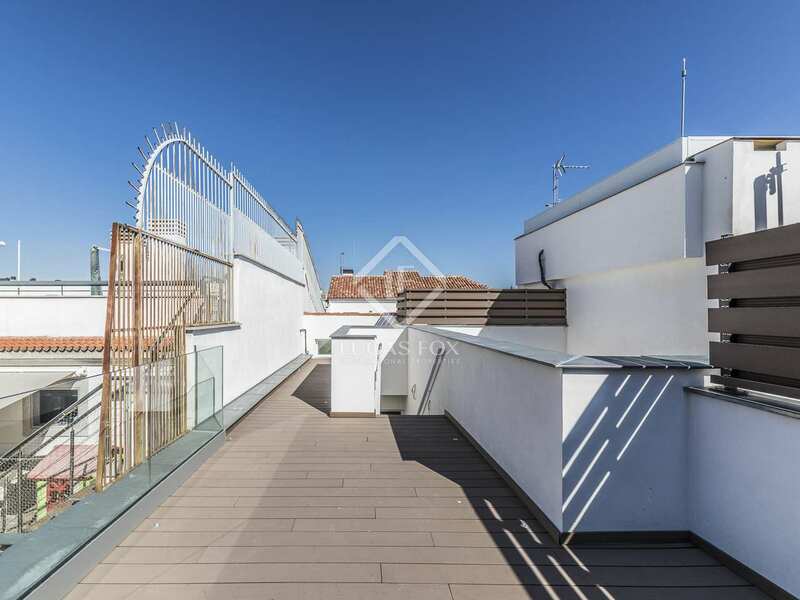 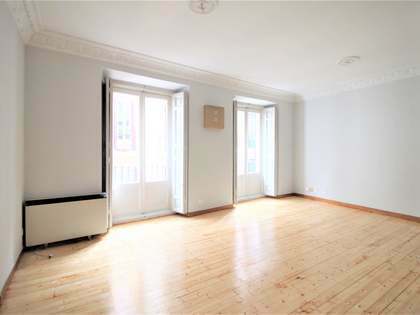 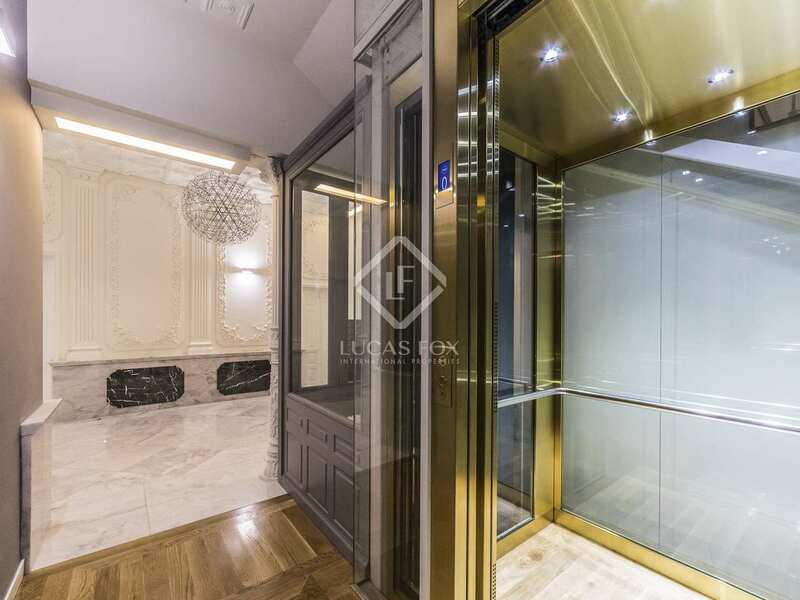 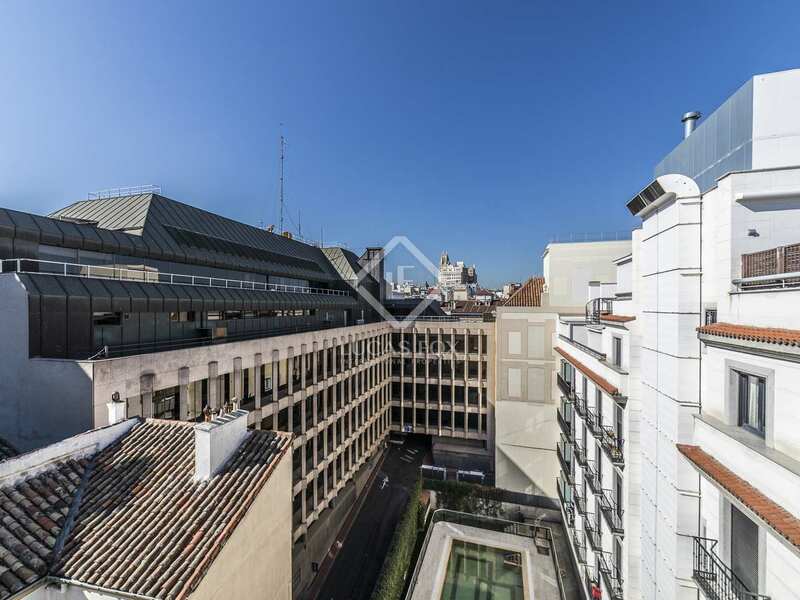 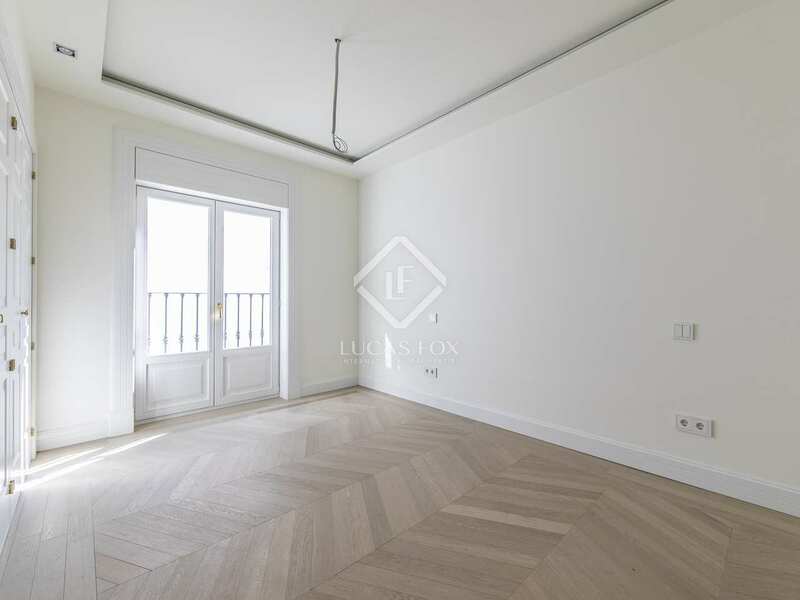 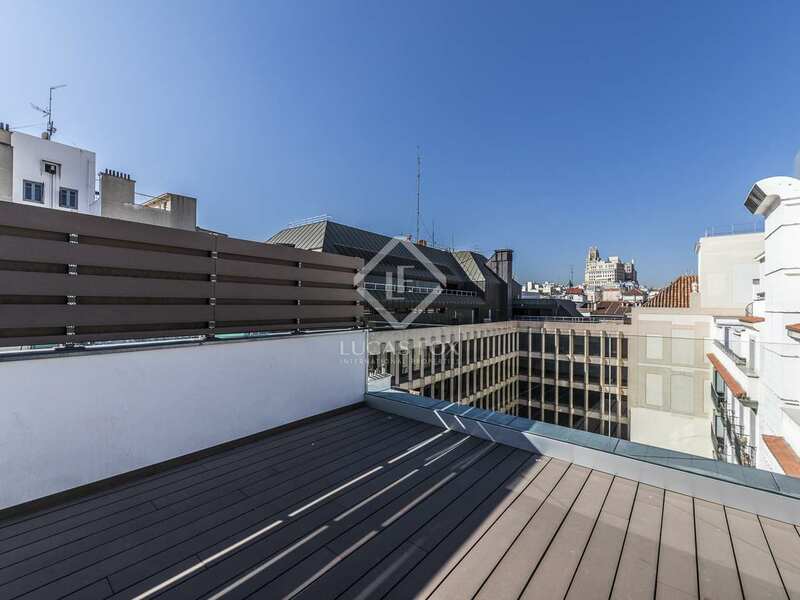 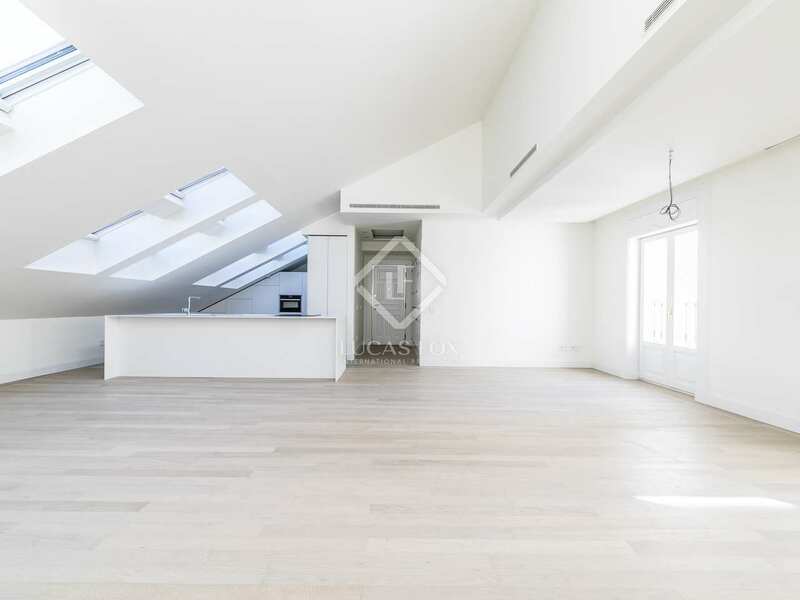 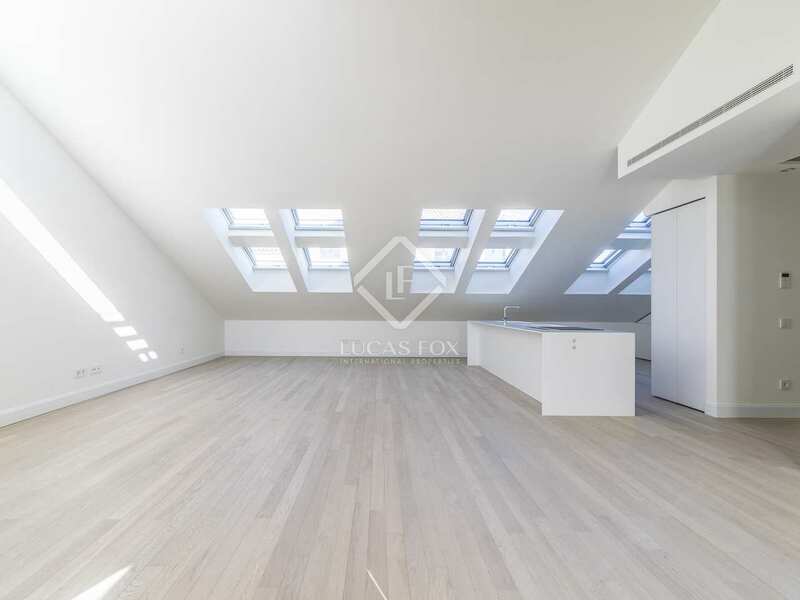 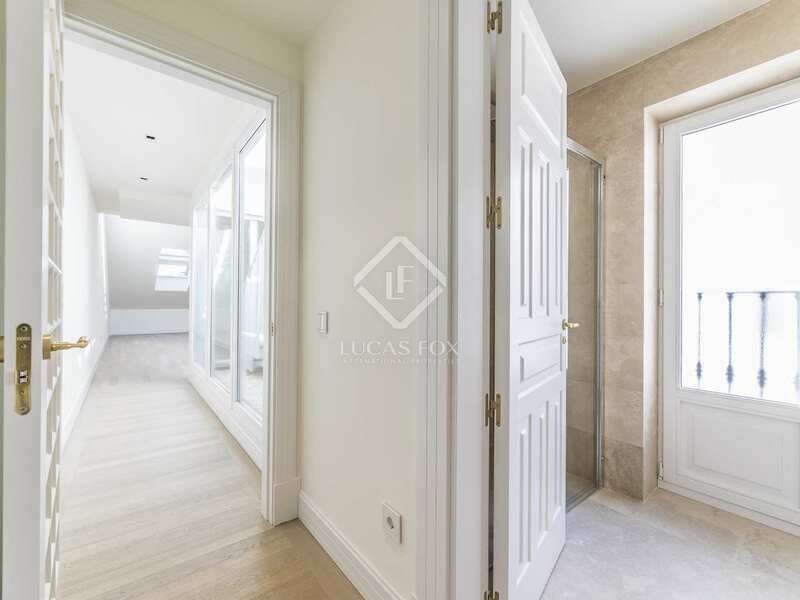 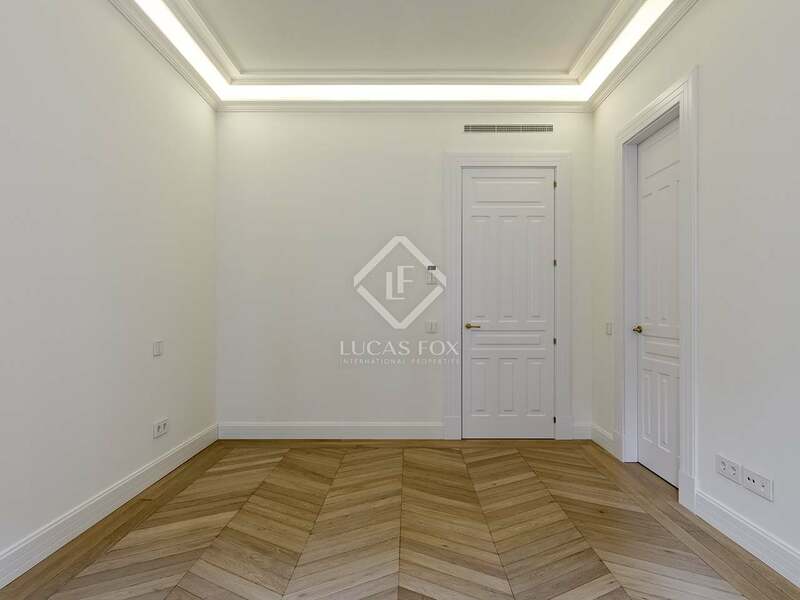 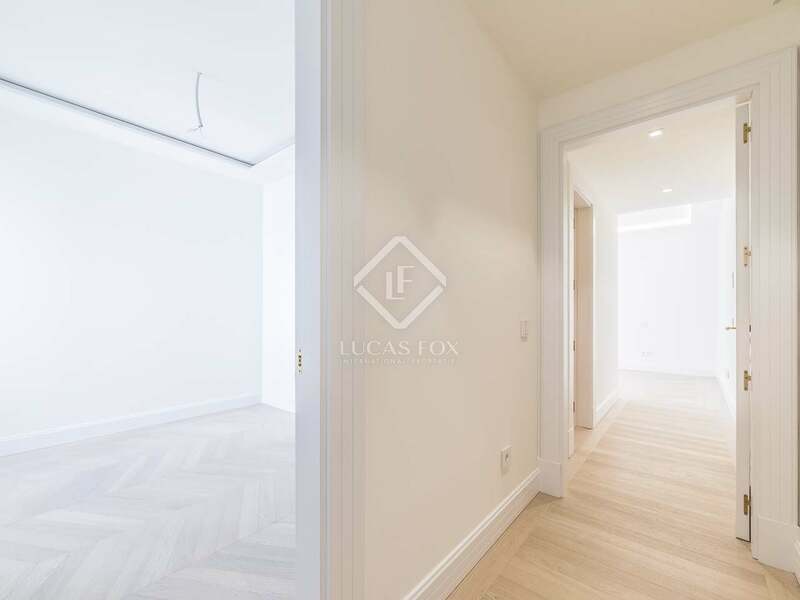 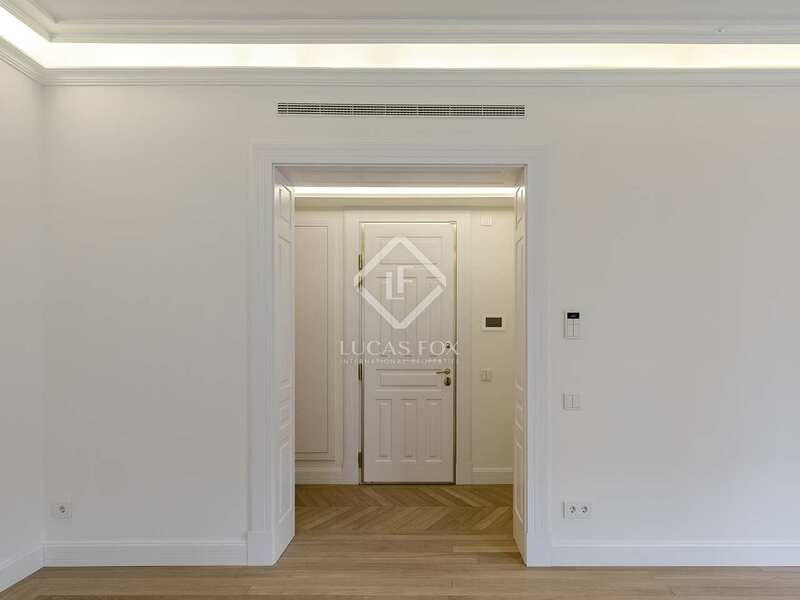 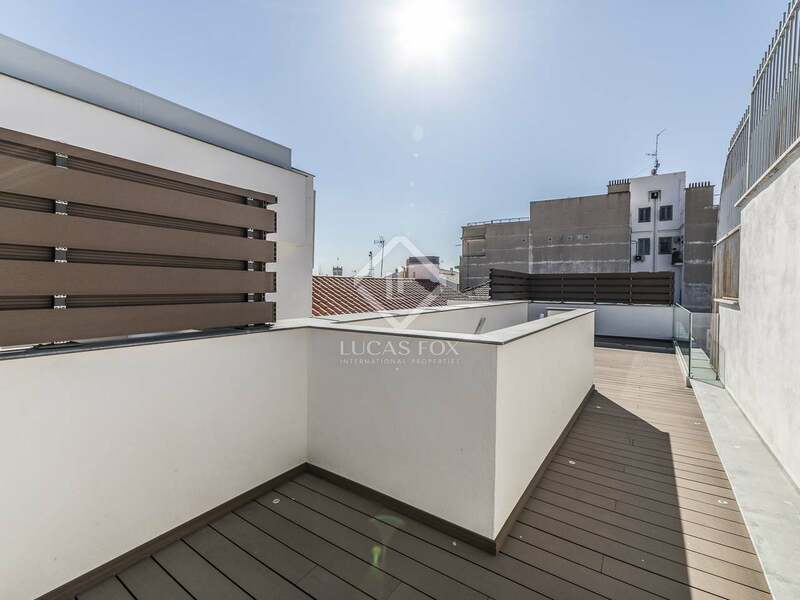 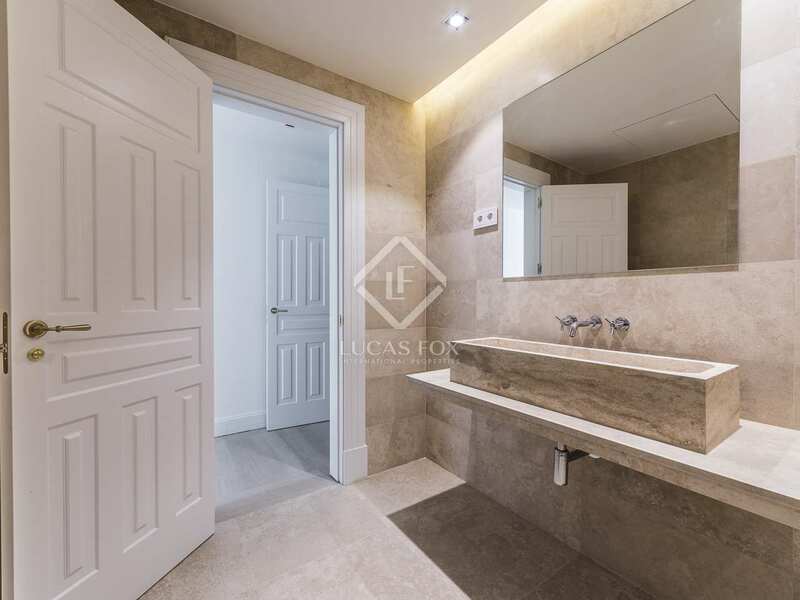 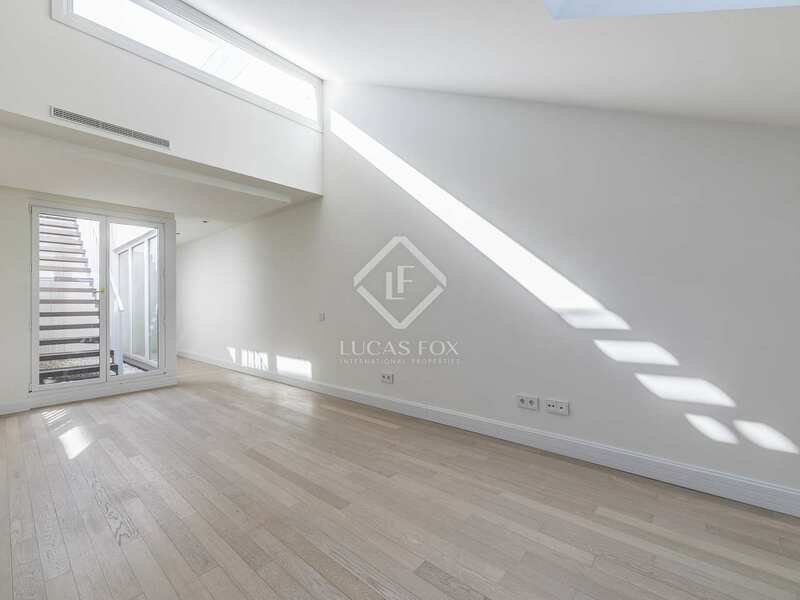 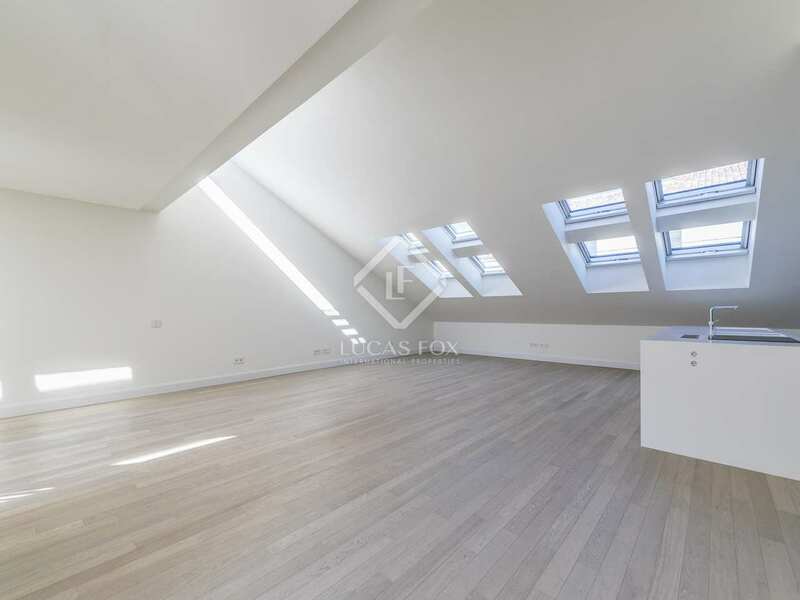 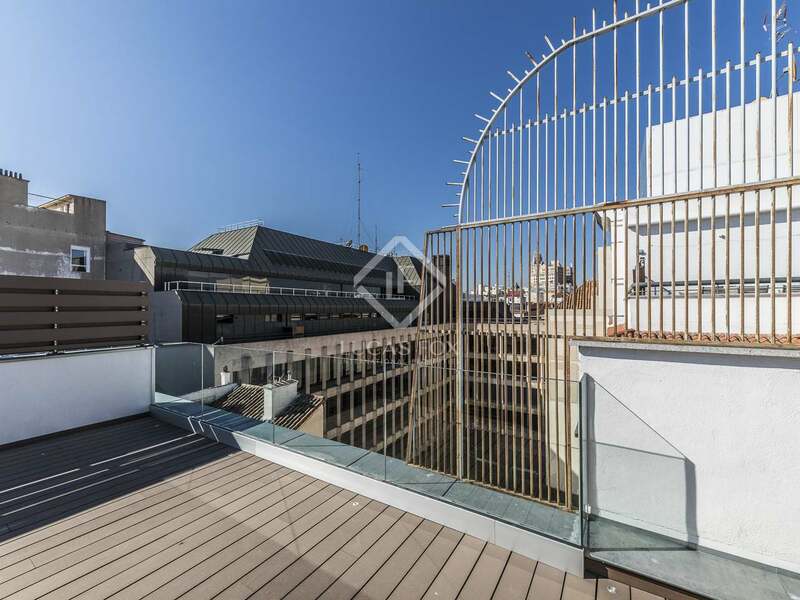 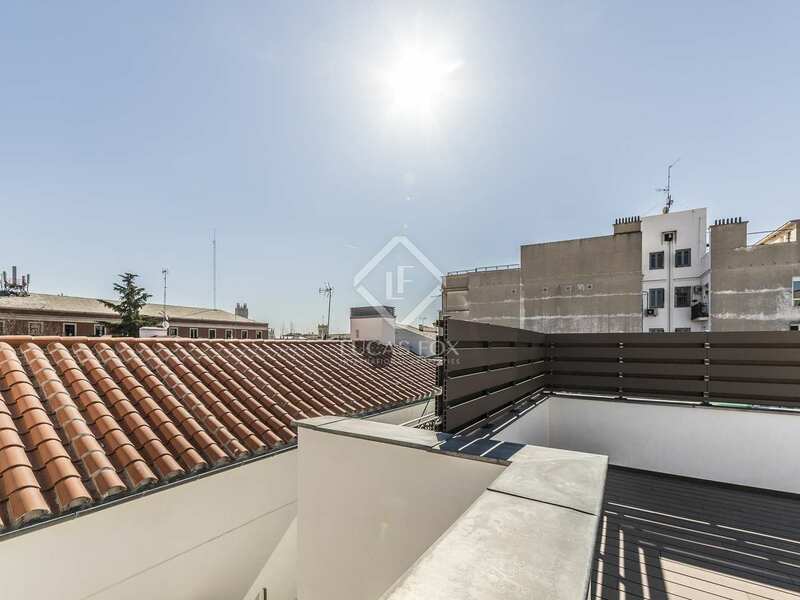 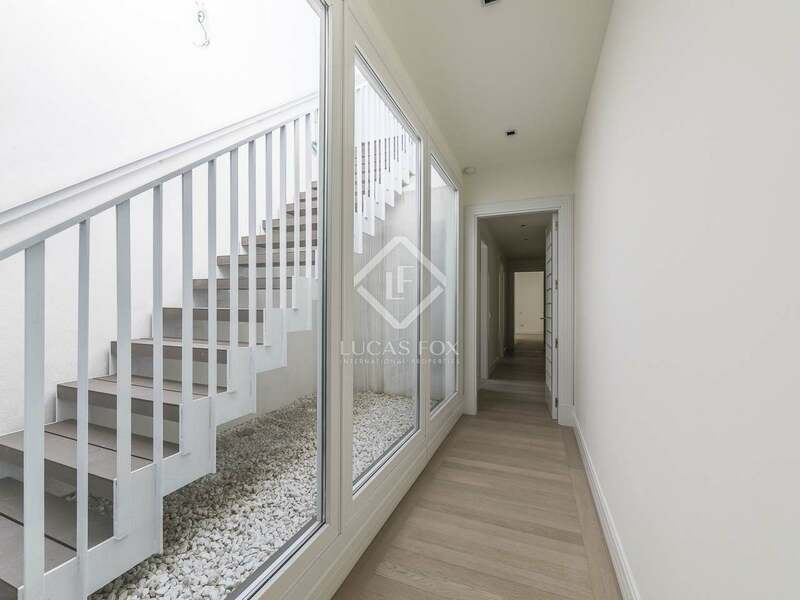 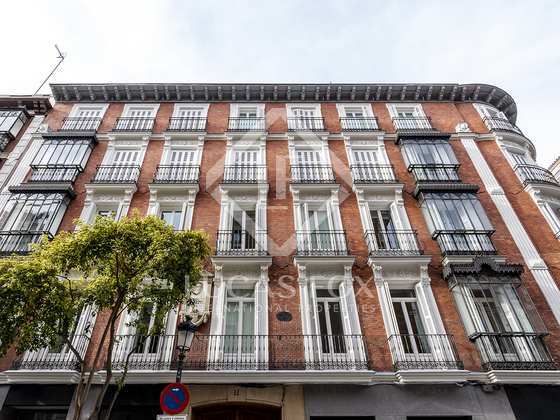 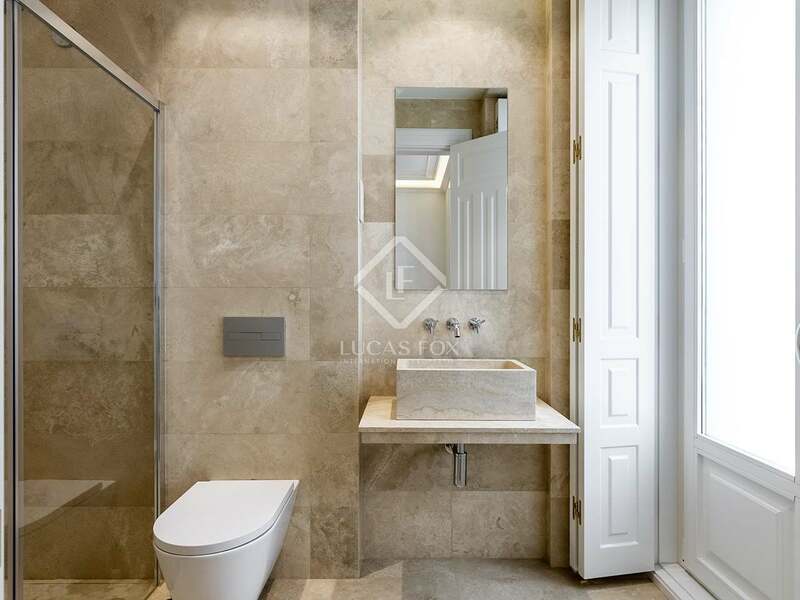 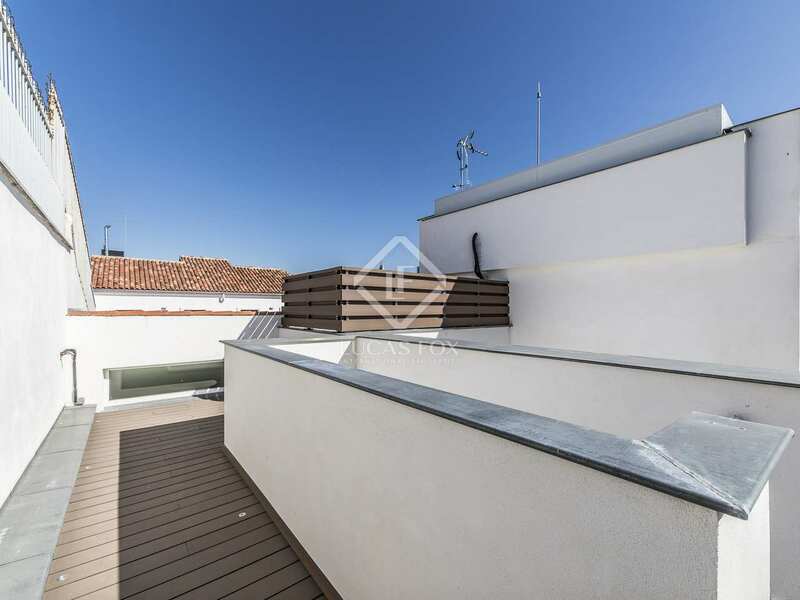 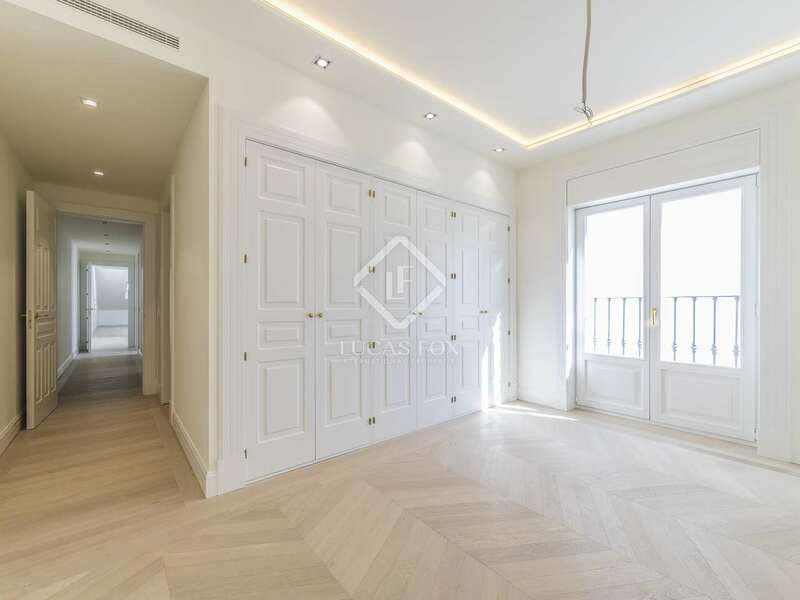 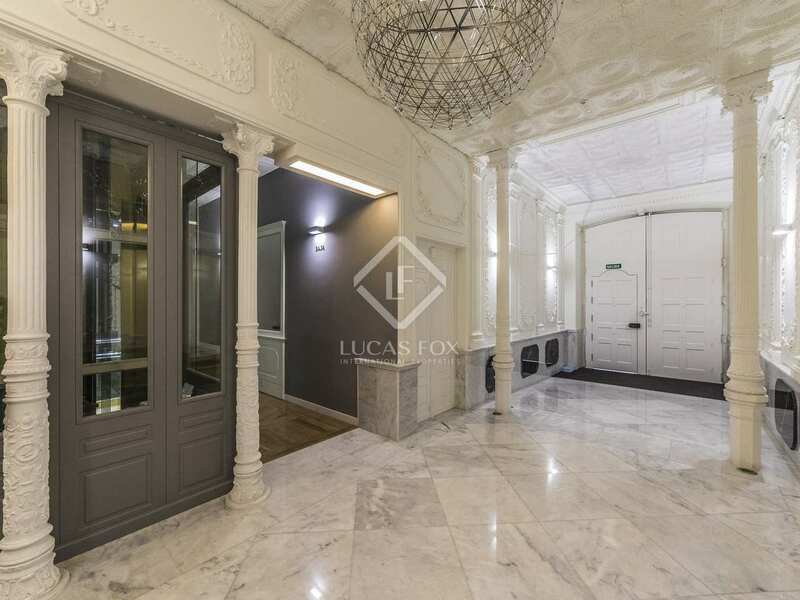 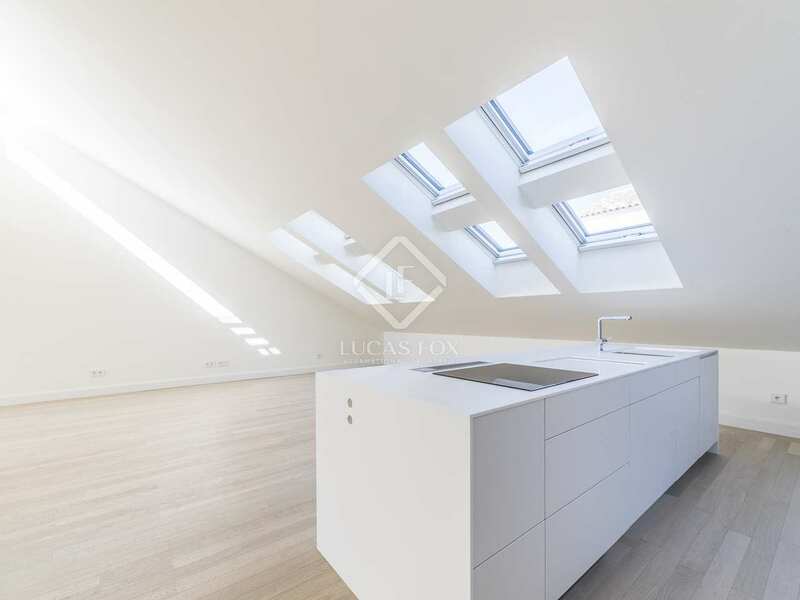 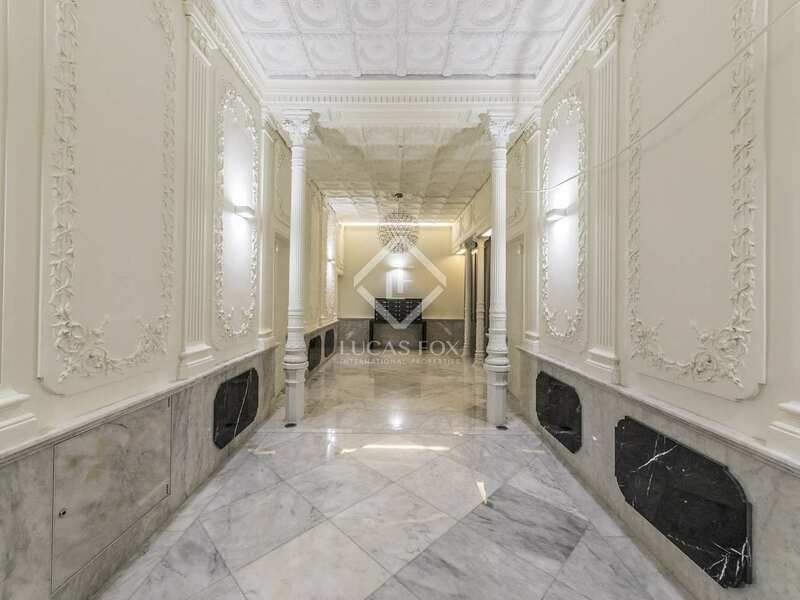 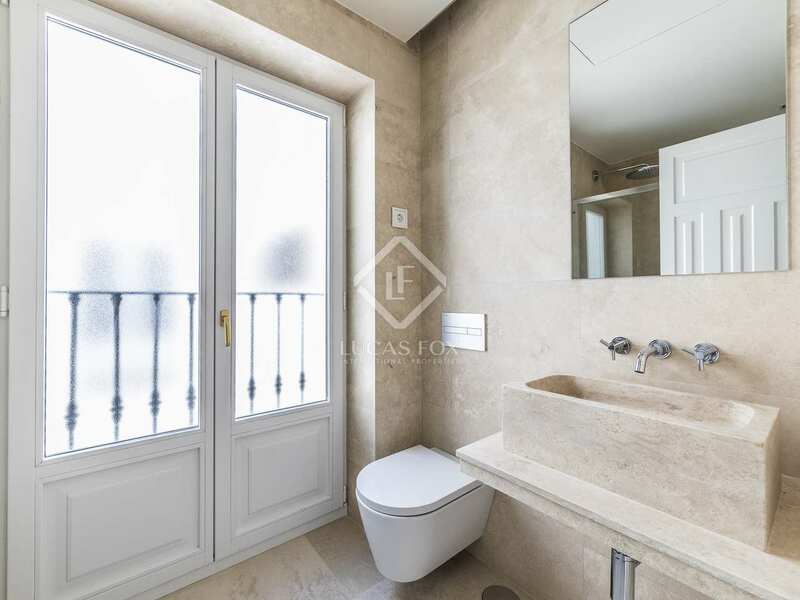 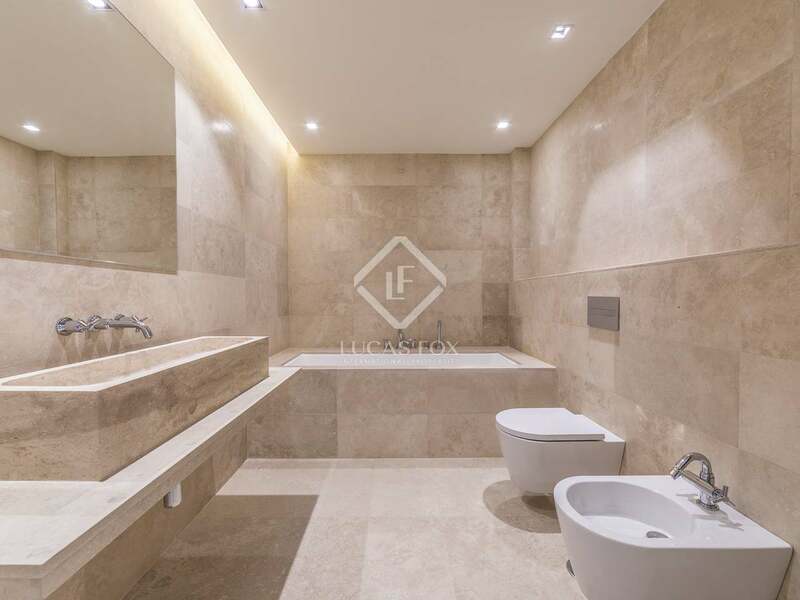 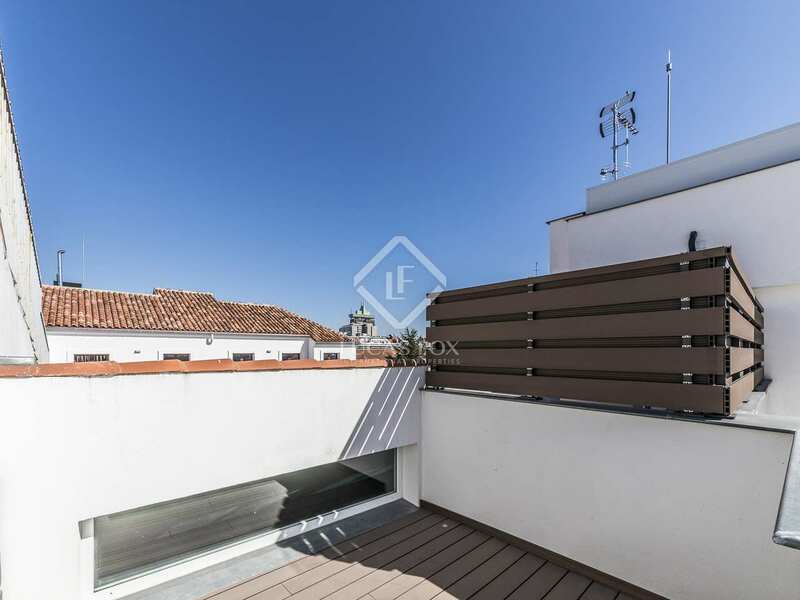 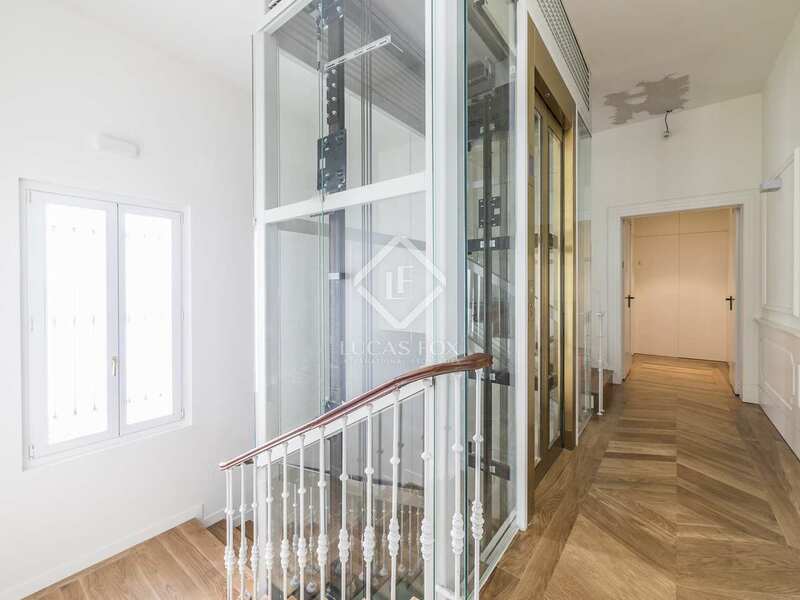 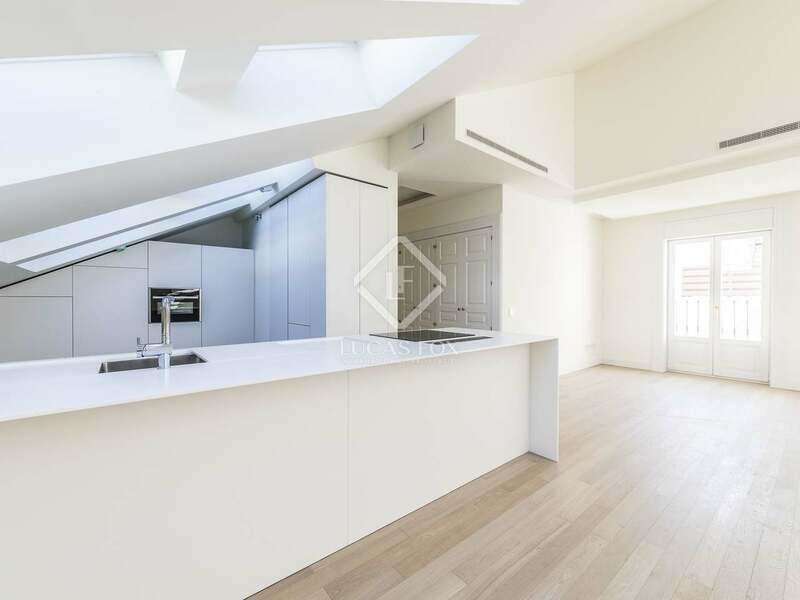 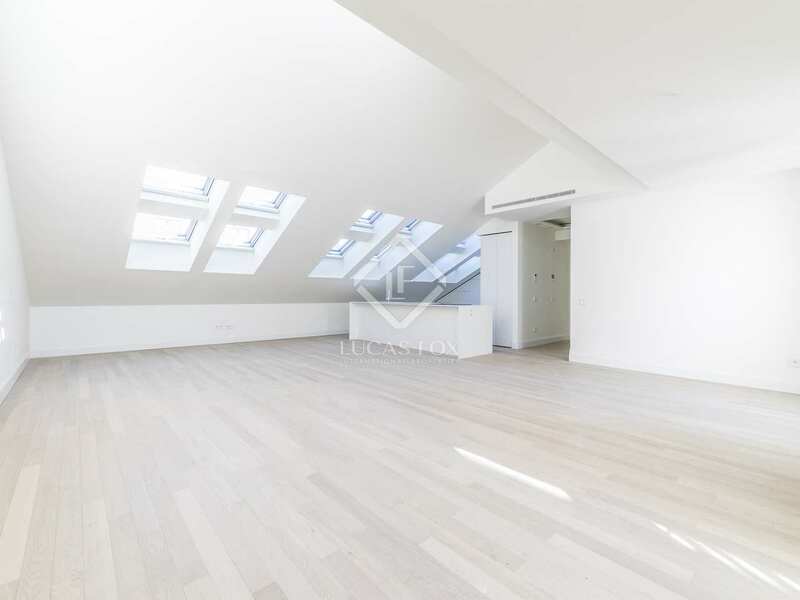 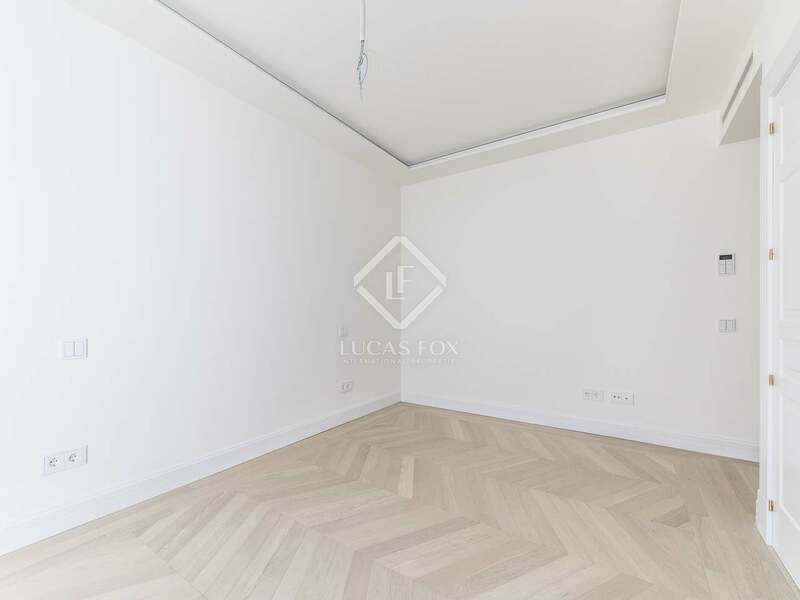 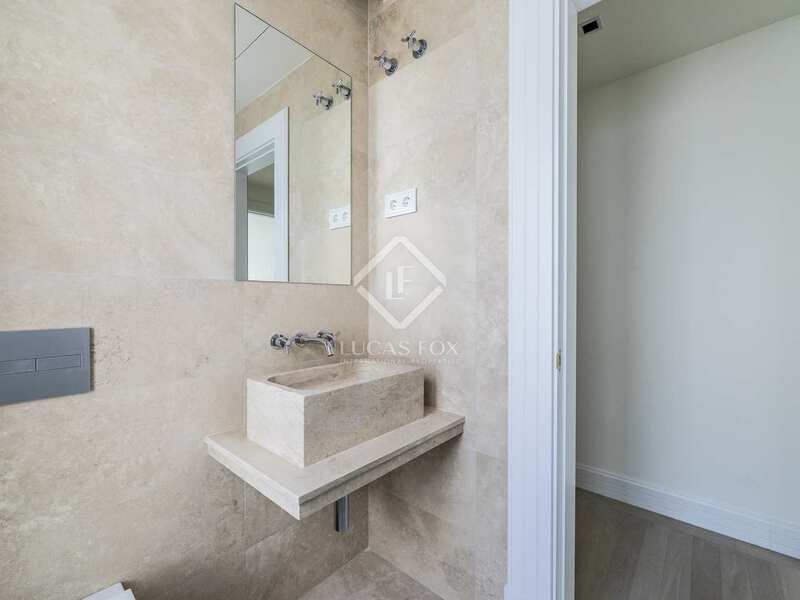 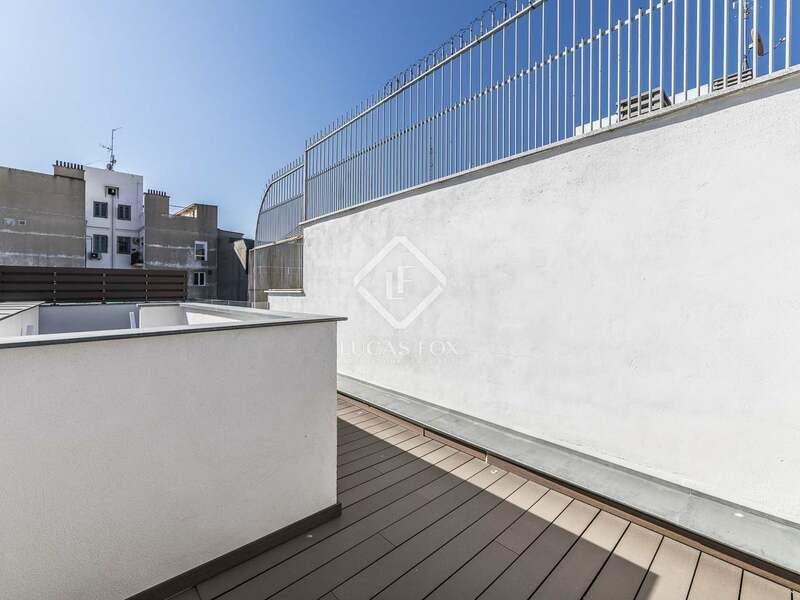 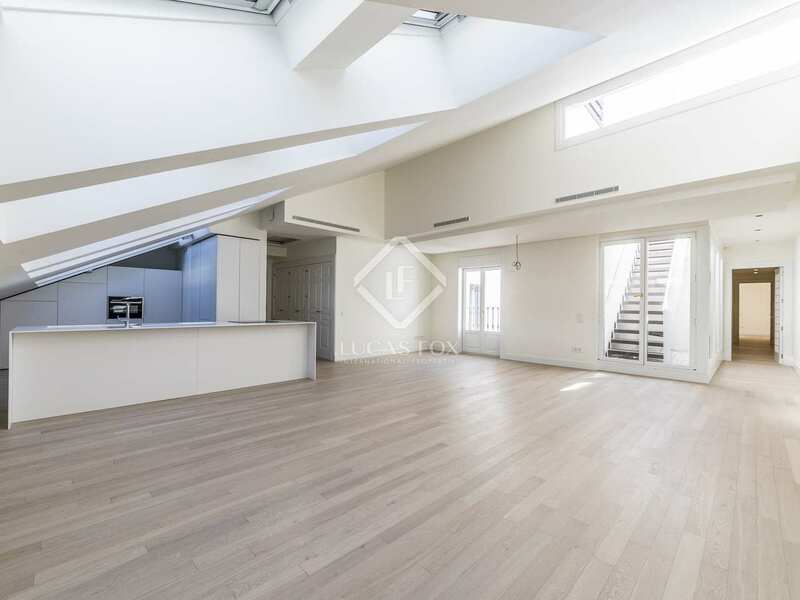 Beautiful penthouse with a terrace in a newly renovated building for sale in the most desirable area Justicia, Madrid. 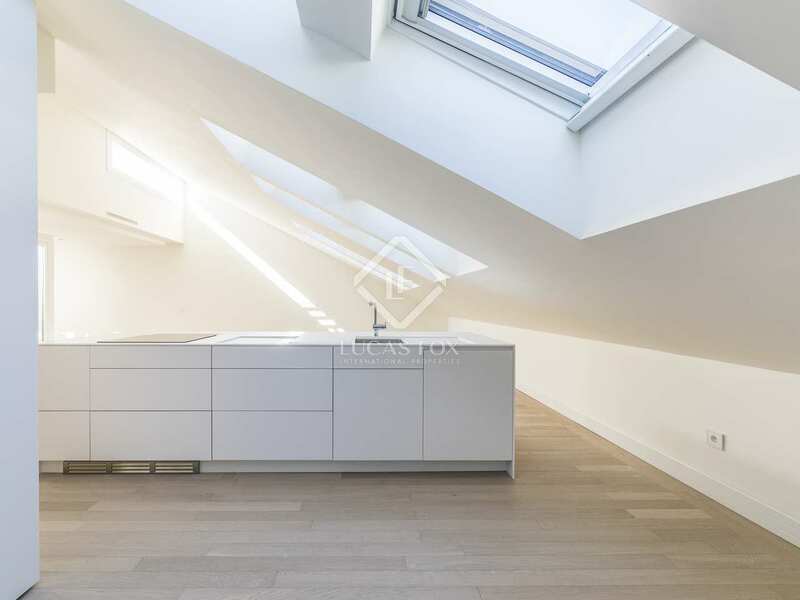 The penthouse can be found on the top floor of an eye-catching building, that has been totally renovated to an exceptional standard. 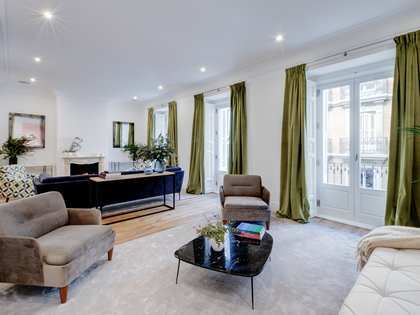 The building has retained its lovely classical façade and period features such as high ceilings, whilst combining this with a stunning modern interior with excellent finishes. On entering the property you find yourself in the large entrance hall, to the right is the extremely spacious and open plan living-dining room and fully-equipped kitchen with 3 balconies overlooking the street. 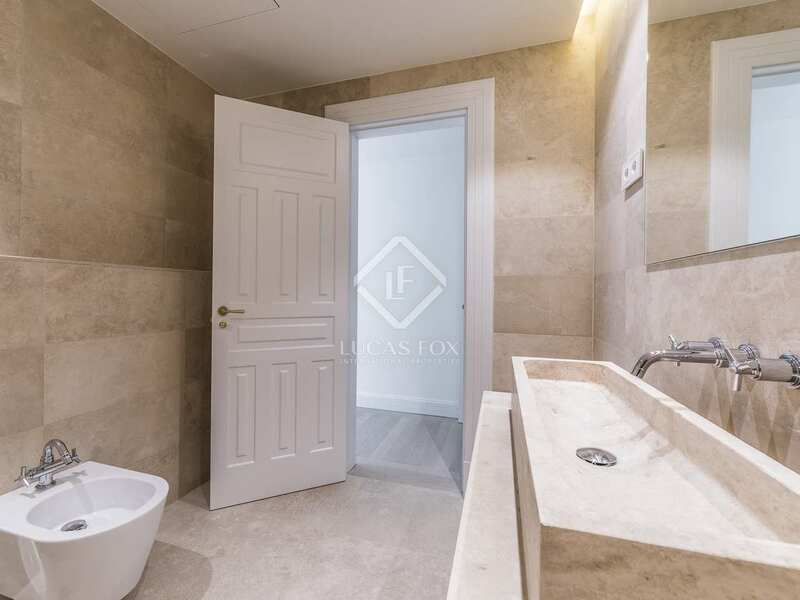 Meanwhile to the left is a corridor from where you access the 2 bedrooms, one of which is ensuite, and one further bathroom. Also to the left you will find the stairs up to the large private terrace, offering wonderful views over the city. 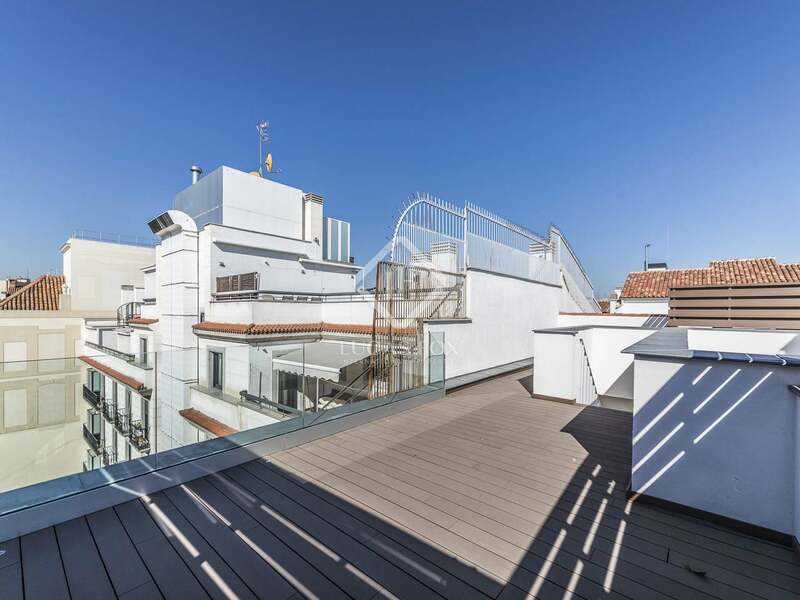 The penthouse is brand new and comes equipped with air conditioning and heating. 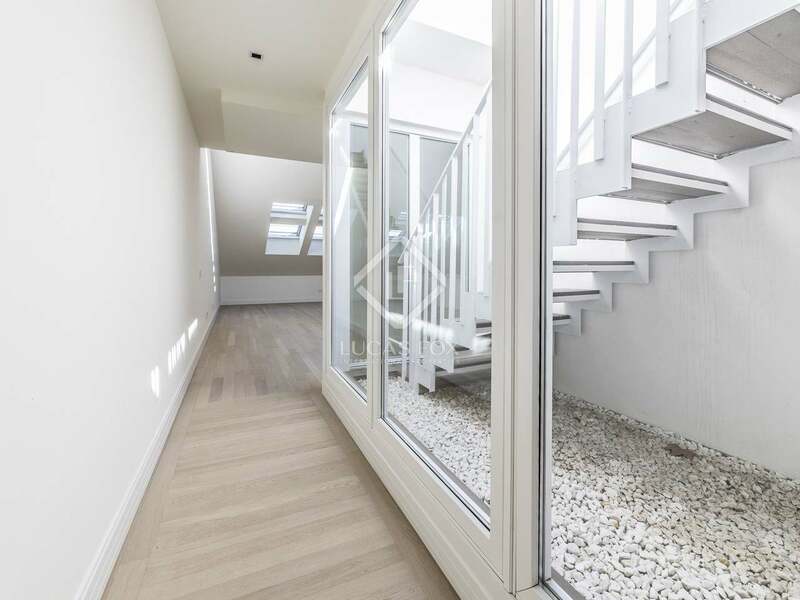 Due to being on the top floor and exterior, the property also benefits from an abundance of natural light. 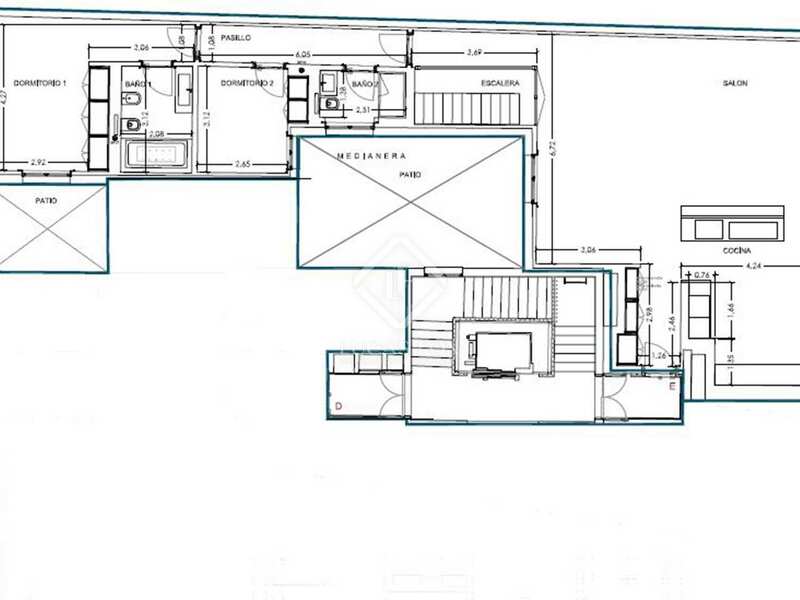 It offers the perfect opportunity for investors or those looking for a high quality home in an exceptional location. 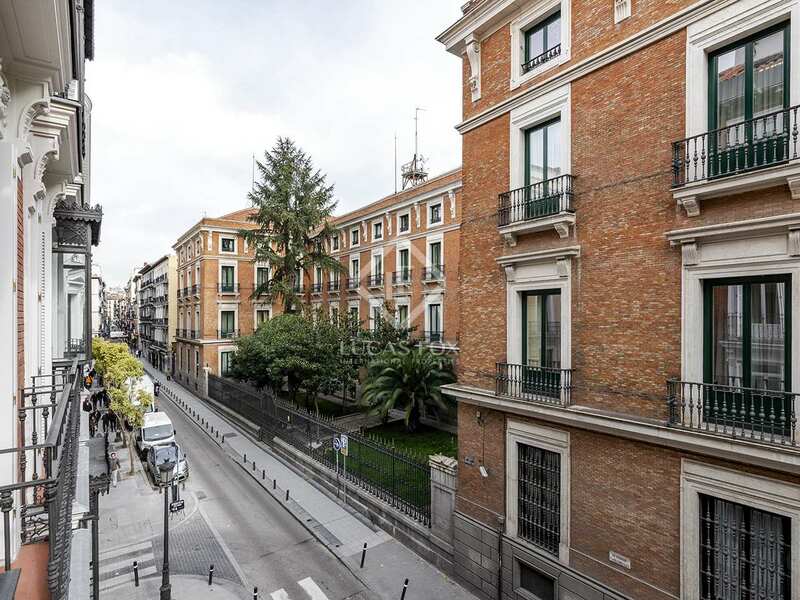 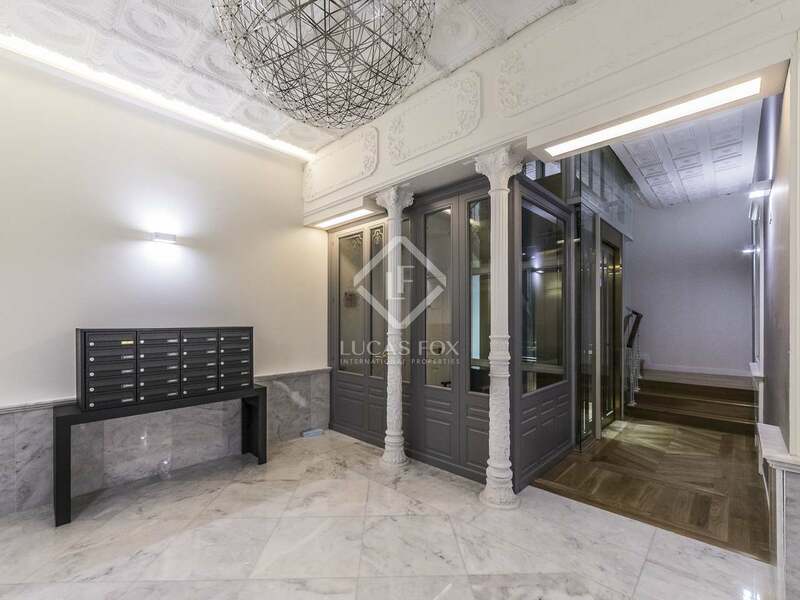 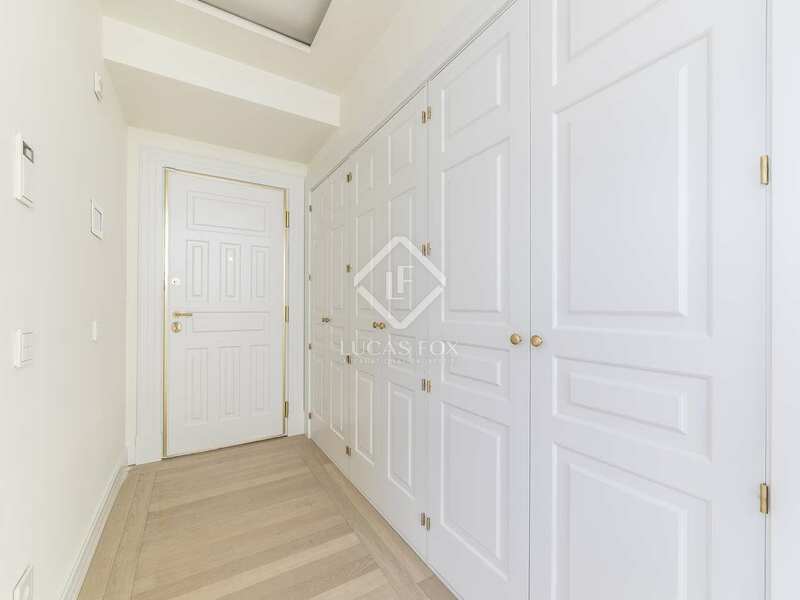 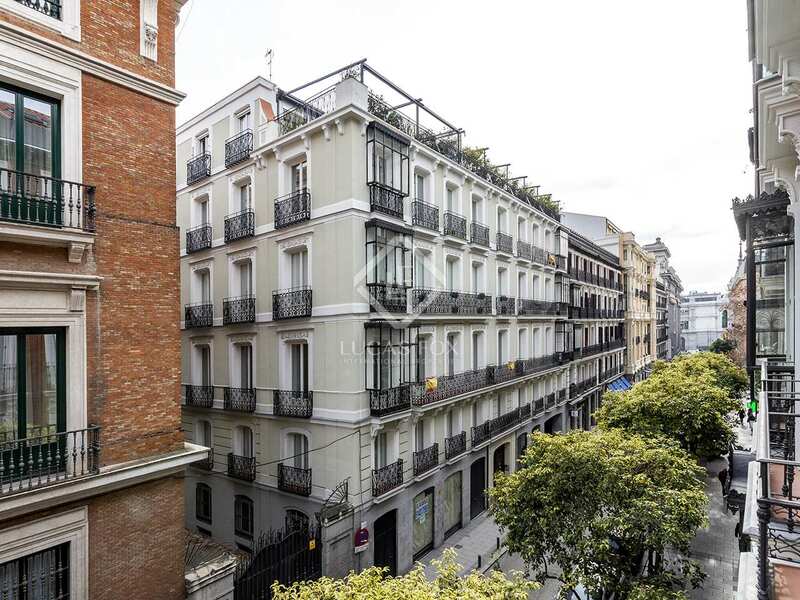 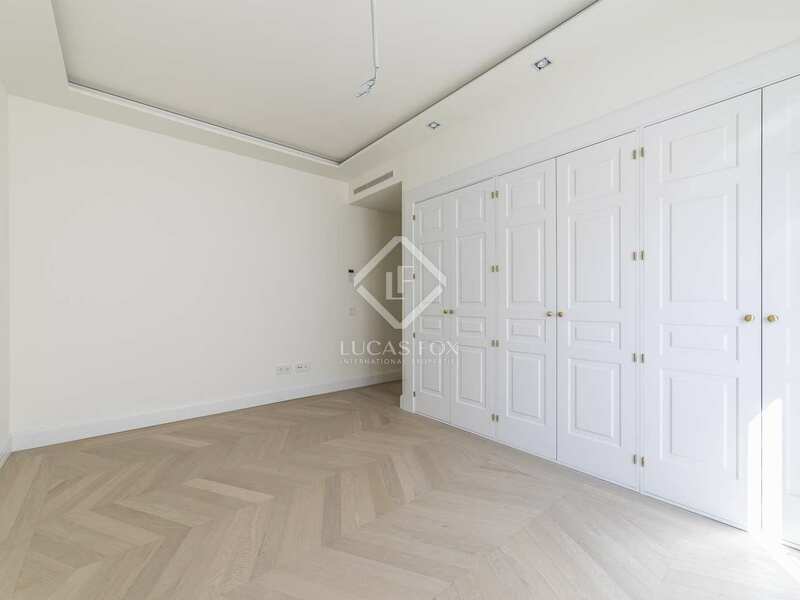 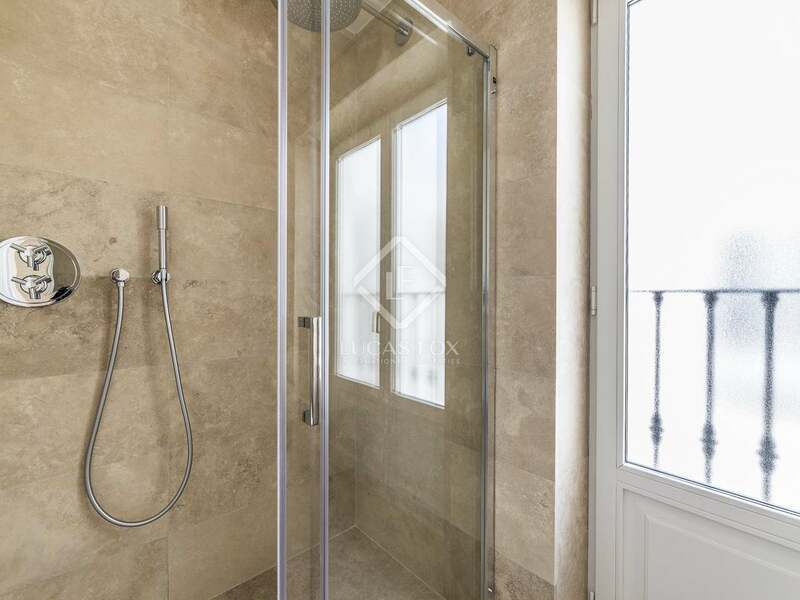 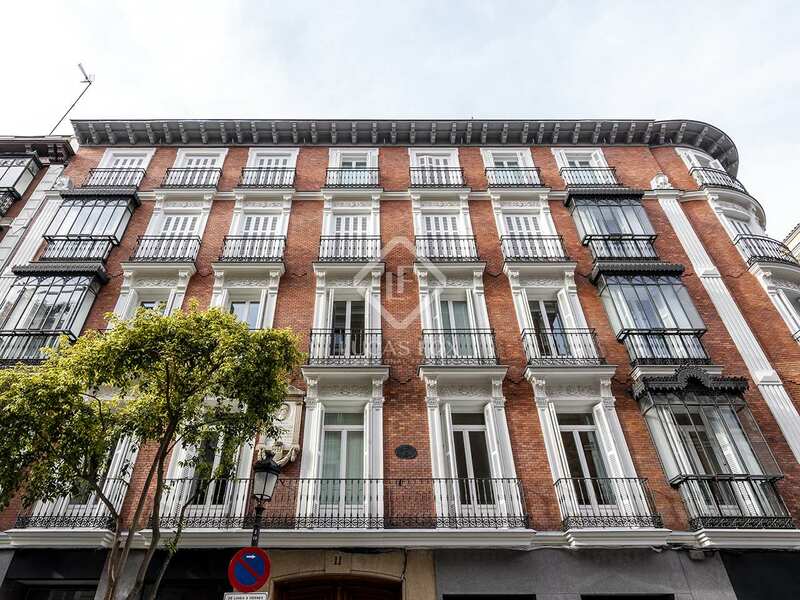 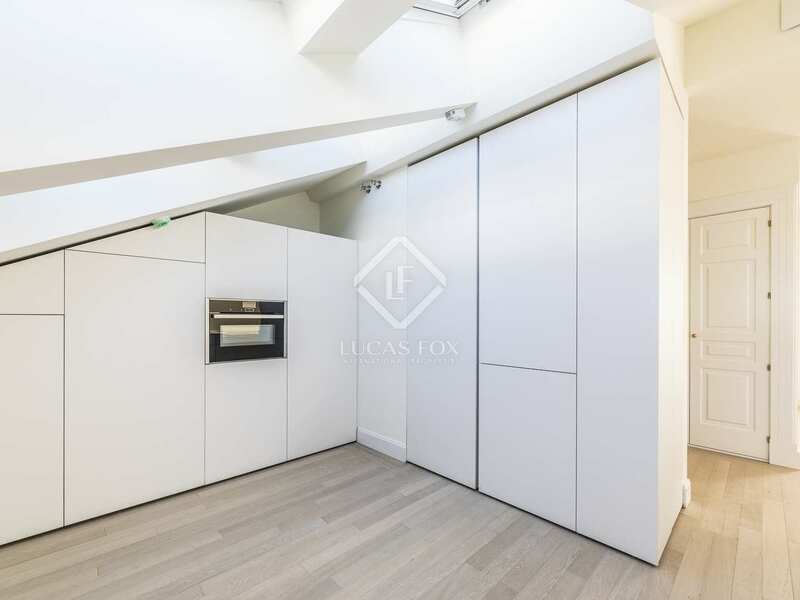 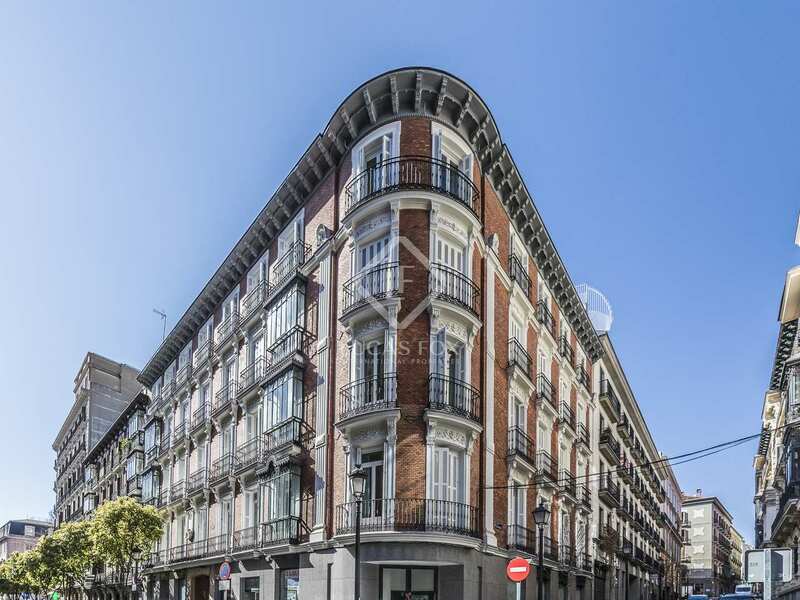 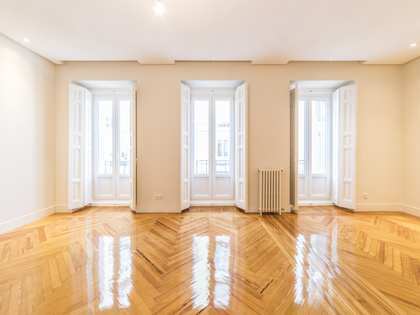 Found in Justicia, one of the most desirable areas of Madrid, the penthouse is on a quiet residential street close to the tranquil and tree-lined Plaza del Rey. 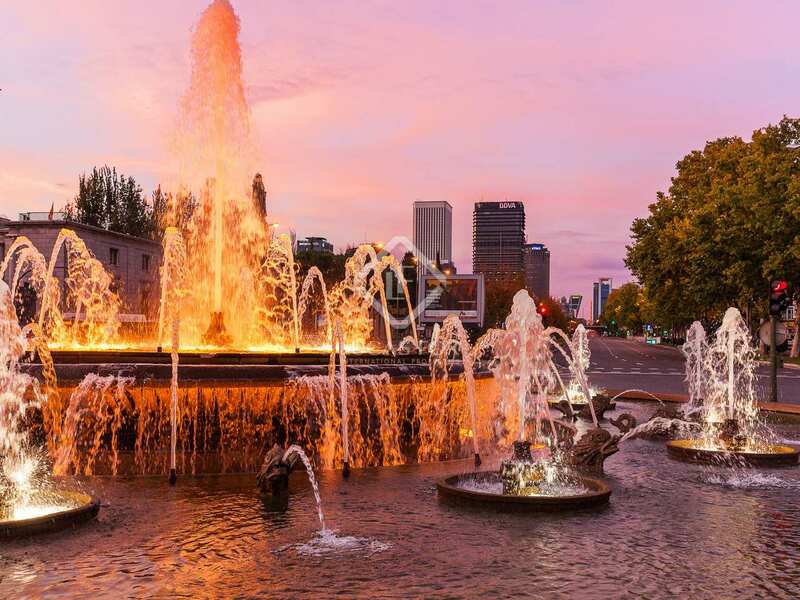 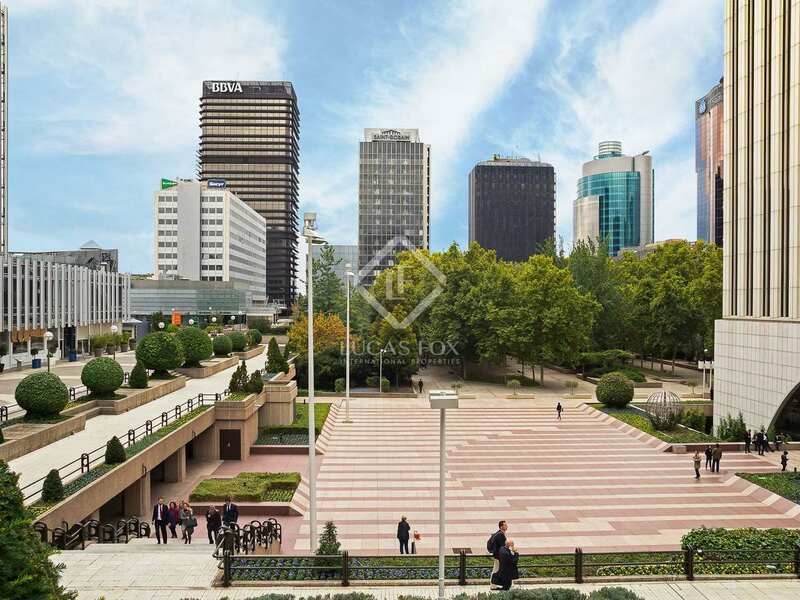 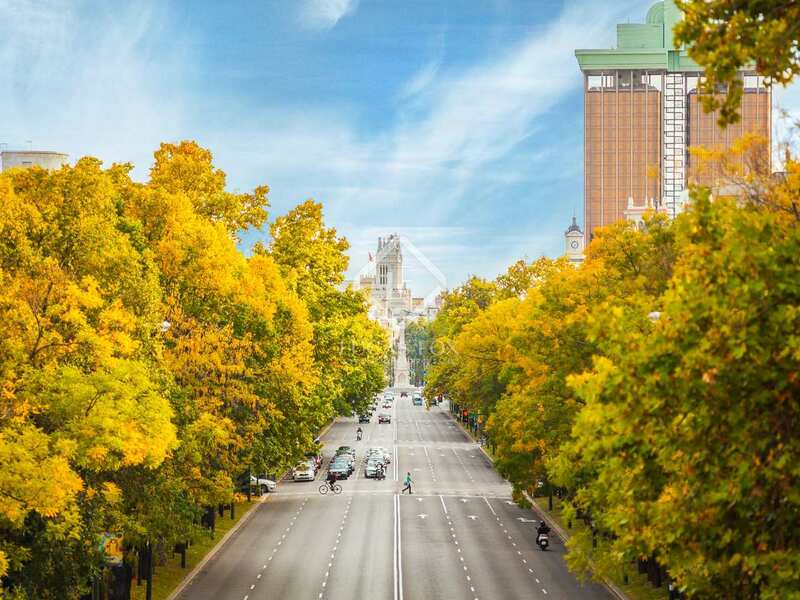 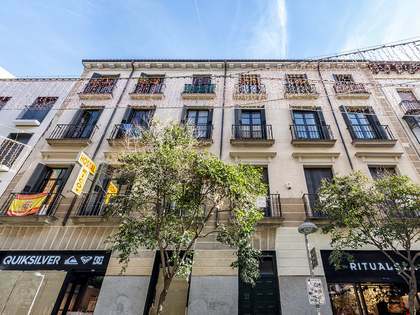 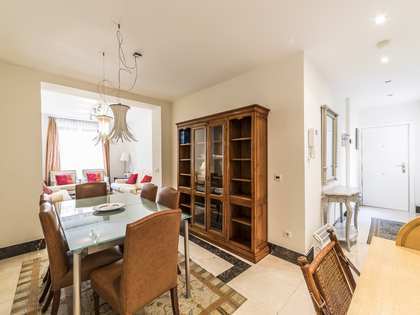 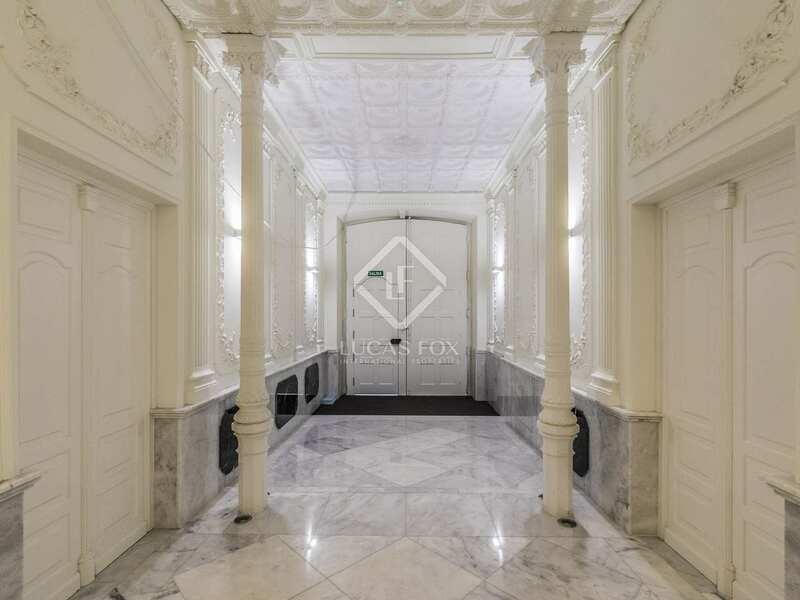 It is just a short walk from Parque de El Retiro and Gran Via as well as all amenities such as shops, supermarkets, restaurants, theatres and museums. 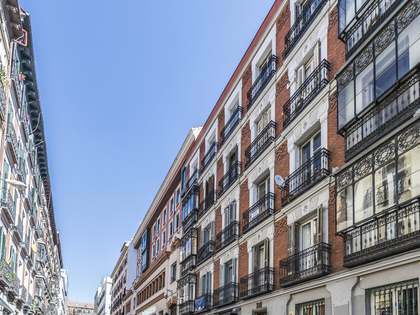 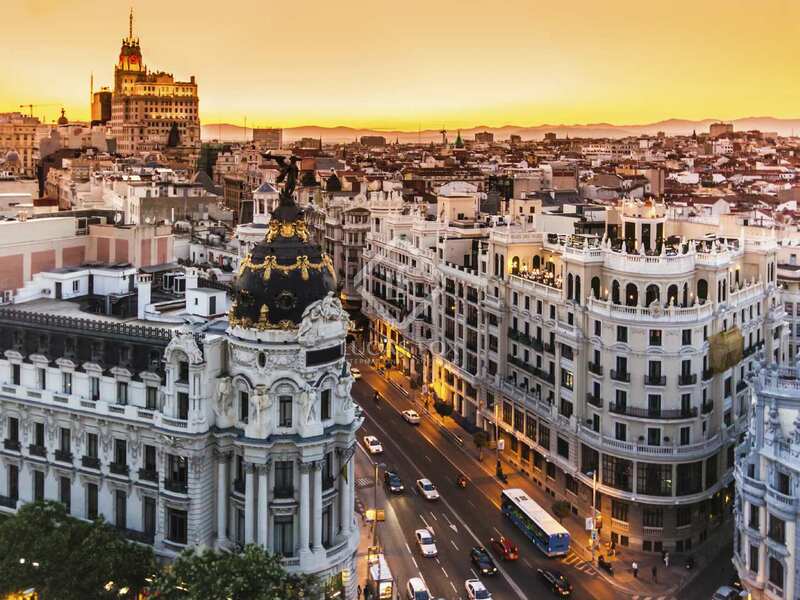 It is well connected to public transport, with plenty of bus stops in the area as well as the Chueca and Banco de España metro stops near-by.